The Singles kitchen roll holder from VE2 for Zone Denmark is distinguished by its aesthetic and practical features. Filigree lines and defined edges make up the design of the accessory, which blends in perfectly with any kitchen ambience. Thanks to the rounded sticks, the paper towel can be easily unrolled and a small edge at the edge of the base ensures that the roll stands firmly. The Singles kitchen roll holder is made of matt lacquered metal in different colours, which integrate perfectly into the Singles range of Zone Denmark. Singles kitchen roll holder from Zone Denmark in single view. 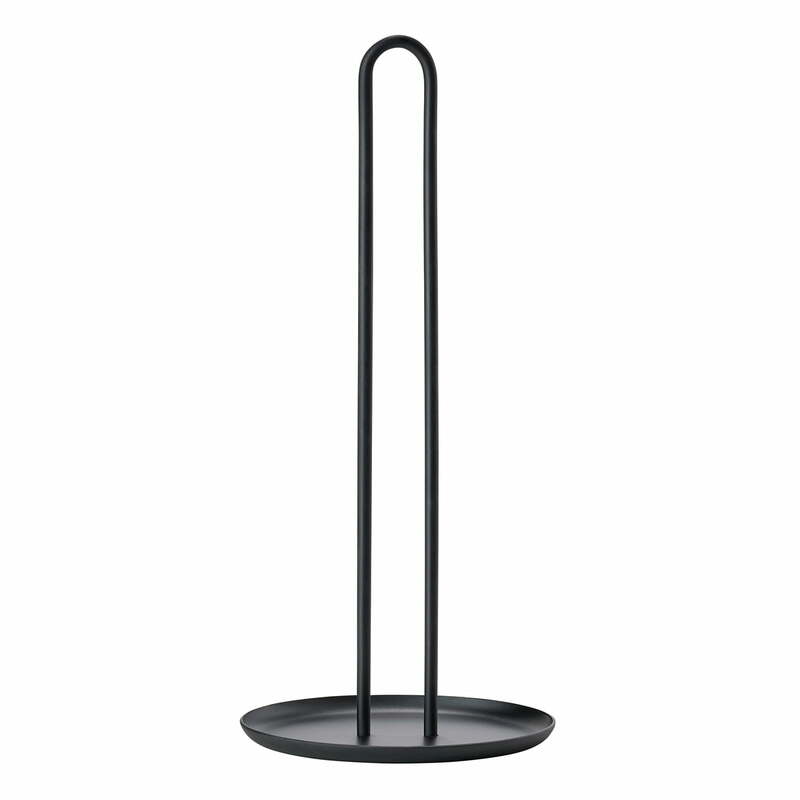 The Singles kitchen roll holder from VE2 for Zone Denmark is distinguished by its aesthetic and practical features. Singles kitchen roll holder from Zone Denmark in the ambience view. 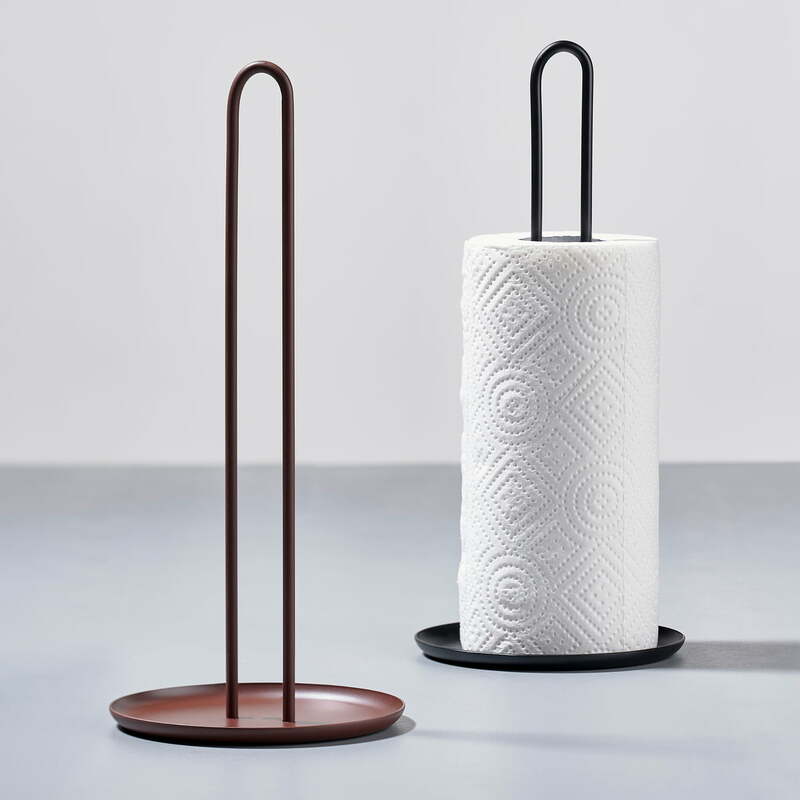 The Singles kitchen roll holder is made of matt lacquered metal in different colours, which integrate perfectly into the Singles range of Zone Denmark.